After Mark-Anthony Turnage studied at Tanglewood Music Center with Hans Werner Henze in 1983, Henze arranged a commission from him for the Munich Biennale, and thus Greek premiered in 1988. The “then unknown, twenty-five-year-old English composer” had “never written a piece longer than fifteen minutes,” but established a growing international reputation after the enthusiastic reception to Greek’s world premiere. Greek won two awards and was a highlight of the 1988 Edinburgh Festival. The English National Opera staged it in 1990, revived it, recorded it, and the 1990 BBC produced an award-winning version for television. Greek is, in some ways, a political play, and its “plague” evolved from the political, social, and personal injustices playwright Steven Berkoff saw in British society in the late 1970s. Berkoff had directed his own adaptation of Agamemnon’s story from the Oresteia in London in 1971, and like Berkoff’s work with pieces based on Kafka and Poe, this narrative is a free variation on Sophocles’ original. 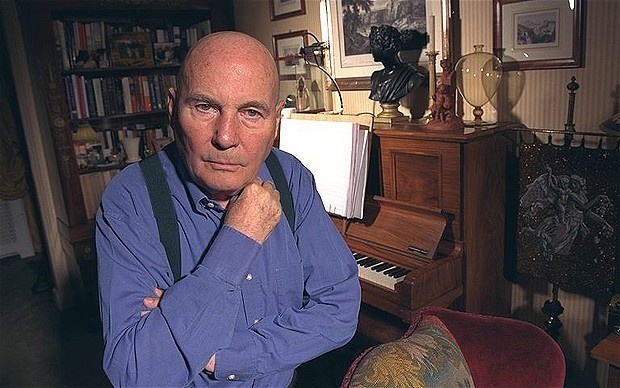 Berkoff's retelling of the Oedipus myth relocates the action from ancient Thebes to London, during the last year of James Callaghan’s failing Labour government. By 1979, Berkoff saw England as “a gradually decaying island,” with “violence that streamed through the streets like an all-pervading effluence, the hideous Saturday night fever as the pubs belched out their dreary occupants,” so the central tension in his drama takes the form of an emotional plague on British society. Composer Mark-Anthony Turnage has been acclaimed for turning Berkoff’s outcry against the climate that spawned Thatcherism into an opera at the precise moment when riots and police brutality (predicted in the play) broke out in London. Turnage’s Police Riot scene is introduced by the increasingly loud sound of the policeman’s rhythmic marching, and then the riot itself bursts upon us. 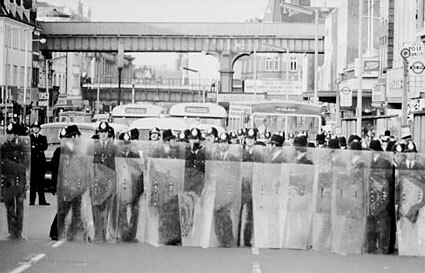 The first performances of Greek in 1988 had direct political resonance in the wake of the poll tax riots. 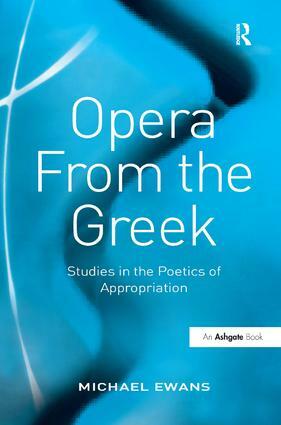 Michael Ewans has just published a study of eight operas based on Greek myths (Opera from the Greek, Routledge, October 2016), and highlights Greek as a major contribution in this genre. Turnage’s music has been called postmodern, in that it matches the range of Berkoff language (blending local slang with literary references), and he eschews a continuous piling on of horror and tragedy. This is not the music of Strauss’ or Berg’s operas, layering expressionist intensity with dissonance and percussive collage. Rather, Turnage explores passionate heights and the horror of violence, but contrasts them with moments of intimacy and ironic humor. His most controversial music choice takes place at the end of Greek: Turnage sets the entire closing monologue as unpitched speech, supported only by a glittering, pitch-saturating tremolo chord cluster. After so much drama and dissonance, Turnage puts the story back inside a picture frame, eschewing operatic heights of passion for the bathos of Eddy’s essential character. Laura Stanfield Prichard is a Visiting Researcher in Music and Dance History at Harvard University and regular contributor to the Boston Musical Intelligencer. After teaching and performing in San Francisco for ten years, she is now a popular pre-concert speaker and university lecturer in the Boston area (principal speaker for Boston Baroque and Berkshire Choral International). She was an Assistant Director for the SF Symphony Chorus under Vance George’s direction, and is a regular speaker/writer for the Chicago Symphony, New World Symphony, SF Symphony, SF Opera, and Merola Program.